There's really a lot of great things that we can do from a wooden canopy. 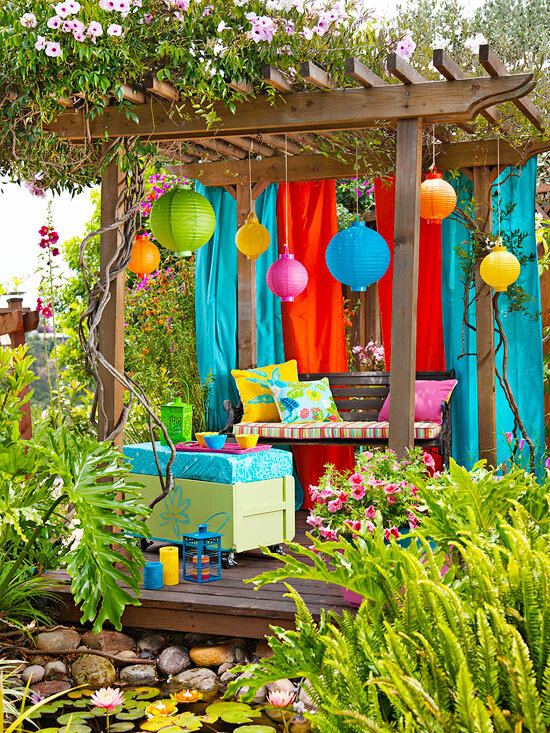 Photo above shows how an arbor can be transformed into a colorful outdoor room. Here, colorful fabrics were made as panels and were hung right at the arbor ceilings to create an illusion of a window. Accents such as throw pillows in colorful patterns and interesting lanterns in bright colors complete the look. You can add variations in the design by adding some potted plants and garden accessories.